Purchasing a new metal roof can seem a bit overwhelming and like a grudge. There is a wide variety of metal roof types and styles of roofing products available today, how do you determine what will work best – both functionally and aesthetically – for your home? As the local metal roofing expert we can only recommend starting with a professional metal expert like us. 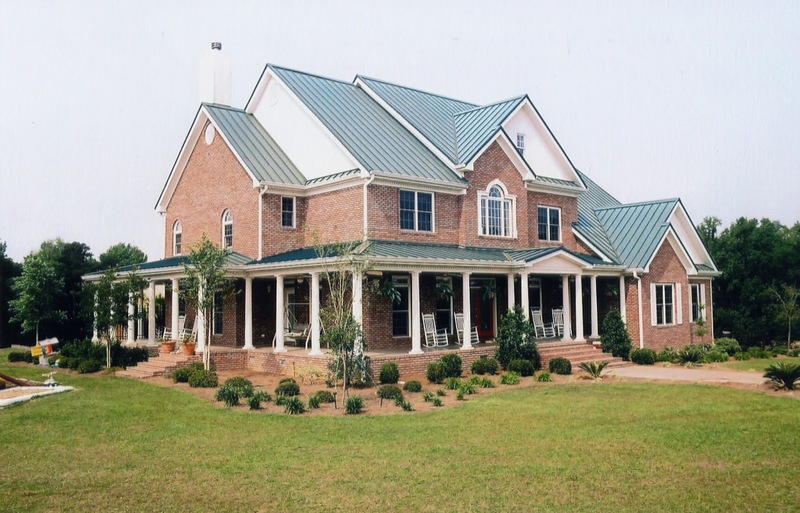 We can help you select the perfect metal roof for your home by educating you with information on the metal types, product types, product profiles, installation issues and overall features and benefits of today’s metal roofing systems. Long Lasting, Worry-Free Durability. Asphalt roofing can become brittle or lose strength as the aging process begins which leads to their eventual replacement need. Metal roofs have proven to withstand the rigors of weather and last for over 50 years. Low Weight And Low Installation Cost. Not only can a metal roof be installed over your existing asphalt roof, but metal roofs are considered the lowest weight roof available today. More importantly, the added bonus of installing over your existing roof is in the opportunity it provides of preserving the life of an aging asphalt roofing structure. Extreme Wind And Weather Resistance. Asphalt roofing systems rely on heat of the sun to have failure-prone seals to hold them in place when strong winds are present. Metal roofing, however, is durable, weather tight, and capable of withstanding up to 140 mph winds for many years to come. 100% Energy Efficient. Metal roofing by design has a natural thermal break, highly heat-reflective coatings and natural properties remit over 90% of the absorbed solar radiation. Are you ready to join the thousands of satisfied metal roofing customers? Call a professional metal roofer today to learn more and quickly learn metal roofs are very efficient, eco-friendly and last longer in comparison to any asphalt roof on the market today. Metal roofs offer several benefits. You owe it to yourself and your home to research your options further so you may enjoy the benefits of a metal roof today and the value of metal tomorrow. Scott Pratt is the owner of Residential Renovations, specializing in Exterior Remodeling including: Metal and Asphalt Roofs, Siding, Windows and more. Scott has over 30 years experience in the professional remodeling industry and is extremely sensitive to the needs of homeowners. Please call Scott at (419) 691-3300 with any questions or comments or visit www.ResidentialRenovations.com for more info. I truly appreciate this post. Roofing is very important part of a home. and finding Roofing Companies In Atlanta is really is big deal. so visit at "Premiere Roofing" for taking a best service.